British Museum are opening its new Exhibition of Ice Age Art which includes very old Artworks some of which carved on the Mammoths Wools. These are artworks, not just prehistoric artifacts. Some of the sophisticated carvings, sculptures and drawings of people and animals look like something Pablo Picasso or Henry Moore might have created. This certainly will be a shock of the mind which has been titled " Arrivale of Modern Art". These pieces are the oldest figurative art in the world which are on display at the Museum. Although early humans were making sophisticated tools, abstract items and music in southern Africa 100,000 years ago, the earliest surviving works representing people and animals appear after groups of people moved into eastern and central Europe some 45,000 years ago. The plentiful wildlife roaming the grassy plains helped these communities of hunter-gatherers grow and flourish. Then, some 40,000 years ago, the weather took a change for the icy. Suddenly, humans were struggling for survival, and this seems to have brought a surge of creativity. 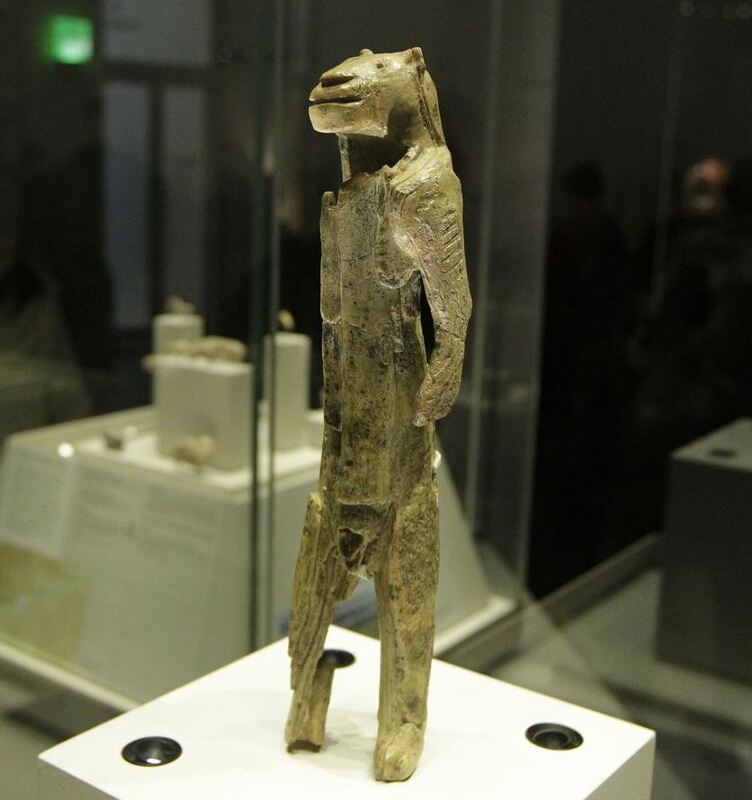 There's also a 27,000-year-old puppet discovered in what is now the Czech may have used in some shamanistic ritual, though it's hard to be certain. Tools and cave walls were inscribed with a form of calligraphy which we can't read. The museum shows artworks from its own collection and across Europe, made between 40,000 and 10,000 years ago, that reveal a world vastly different from ours. Few are made from wood, a precious commodity during the Ice Age that had to be hoarded for fuel. They are made from bones, tusks and antlers, and sometimes rocks or clay. They depict animals that are now rare or extinct — mammoths, bison, lions, wolverines. They play with ideas like perspective and scale, toy with abstraction and capture movement. Some of the animals show strength and grace: a delicate yet powerful bison, a mammoth poised to charge, a delicate carving of two reindeer swimming. Ice Age artists could depict imaginary creatures, such as the man with a lion's head found in a cave in Germany and created 40,000 years ago. They made musical instruments; there are flutes carved from swan bones and ivory. The works are displayed alongside pieces by modern artists, including Henri Matisse — whose drawing of a voluptuous hangs near a plump ceramic figure — and Henry Moore, whose rounded abstract sculptures can appear timeless and elemental. There is also a more direct link. Some 20th-century modernists drew inspiration from the bold abstraction of ancient artworks. Picasso was fascinated with a 21,000-year-old ivory sculpture of a naked woman found in southwestern France in 1922 and kept replicas of it in his studio. The exhibition has many depictions of women figures which are fabricated by men and are realistic about large hips and bellies, and show an image of the female body Cook likens to the "does my bum look big in this" view in the dressing room mirror. "Ice Age Art" opens Thursday and runs to May 26.